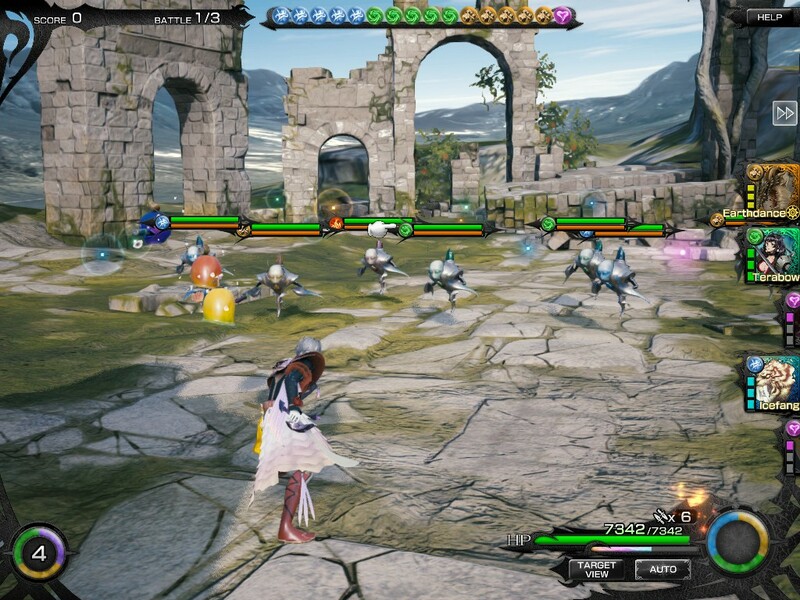 Mobius Final Fantasy is a turn based role playing game originally released in the mobile market of Android and iOS. The premise revolves around an amnesiac being teleported to Palamecia, a war torn planet where monsters known as fiends battle humans who are teleported onto the planet. According to a prophecy, the war can only end after a person becomes the Warrior Of Light and defeats the leader of the fiends in combat. I've played through the entire campaign so far (Chapter 4, Part 2), and have done very little PvE content with the multiplayer (It's a boss battle raid to pass the time). The story is horrendous. It actively tried to convince me to stop playing by introducing a cold opening of the main character being a soul that is forced into a golem's body called a Blank with no memory of the soul's past life. 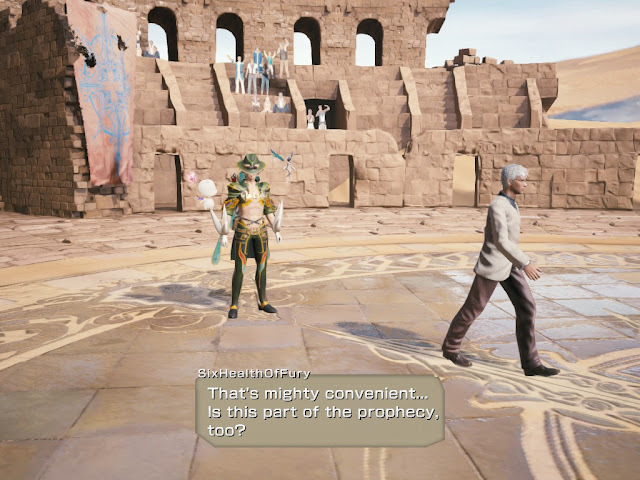 The name you give the character is the name everyone is given if they wish to become the Warrior Of Light and they must complete a series of tasks that conveniently occur to mock how prophecies are often used in stories. 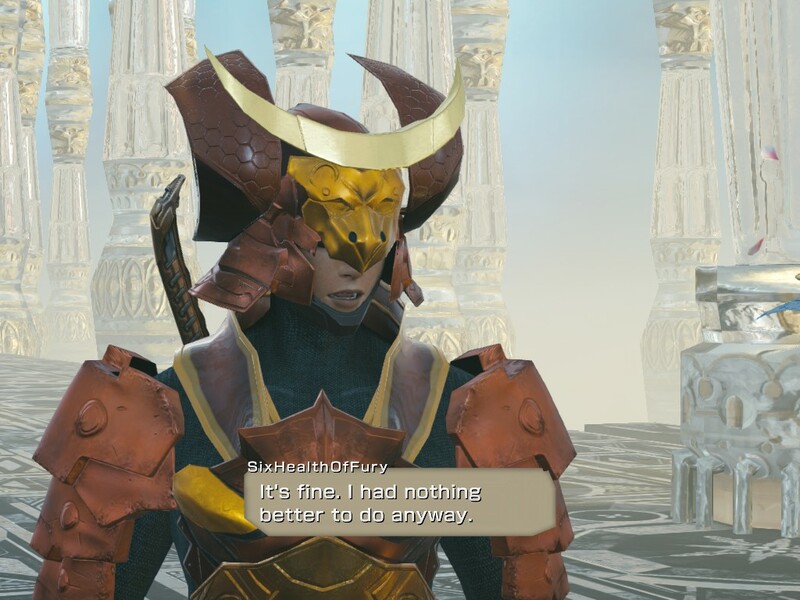 However, the mockery is done with contempt by having the main character and his allies question the point of continuing the game at every moment they can get. The combat system is the reason to suffer through the constant annoyance of the producer who failed to understand motivation in a game. The player chooses a class and four monsters in the form of stat cards that align with their class's elemental affinity. The three elements that class uses adjust at a percentage, based on the elements used in defending one's self. The adjustment gives a chance to gain element orbs based on that percentage chance when doing basic attacks and molds your fighting pattern due to the luck of the draw. You get a maximum of 16 element orbs in your resource pool and some abilities can manipulate what is currently in your reserves. It has the right level of random chance along with tactical capability to warrant playing this turn based strategy game. 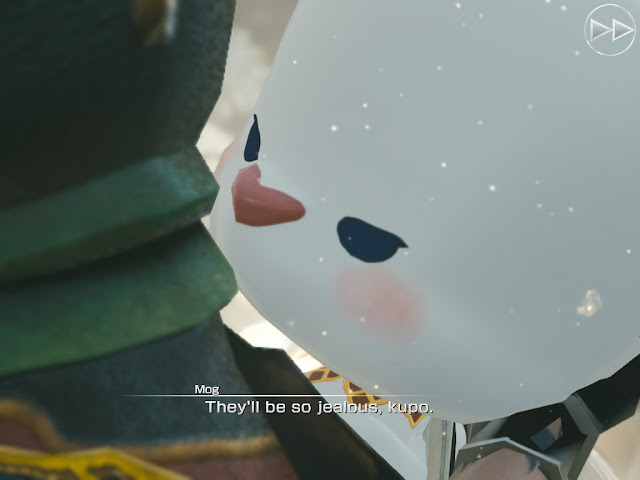 Everything that is wrong with modern Final Fantasy is in this game, so expect to mute the music due to unnecessary piano playing at different tempos in a lame attempt at pulling your heartstrings. Even worse, all of this effort is done during scenes that are trying to be emotional, but are so illogical, they become moot. It really is just garbage, like when a main ally dies in the game by what is essentially a slap from a dying monster and the music plays as they die with an epic monologue in tow. It's laughably bad storytelling. It does have a decent techno song reminding me of Sonic 2's Chemical Plant Zone, but that is about it for good music. The current state of the game (April 21st, 2017) has plenty of things for a player to mess around with and a lot of trinkets to offset the micro-transaction model of the game. I haven't encountered a direct paywall behind content aside from the Mystic Tablets required to enter a training dungeon that doesn't give that great of loot. That and the lack of 5 star cards through normal play makes it a long grind of in game currency to unlock the best stuff in game, which isn't too surprising for a Free To Play game in today's market. Give it a try with the expectations I've mentioned and it should be a good time.